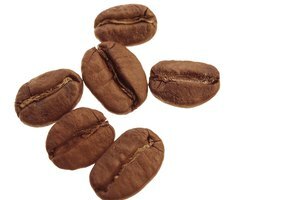 In fermented coffee, acetobacter, an acetic acid bacteria, brings out flavors not present in regular coffee, introducing the pleasantly peculiar, tart aftertaste common to all cultured foods. The fermentation creates carbonation that lends a gentle fizziness to tickle your palate. 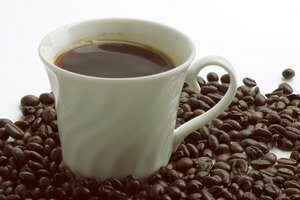 While fermented coffee may be a taste you need to acquire, you should never consume any that looks, smells or tastes off. Fermentation starts with a Symbiotic Colony of Bacteria and Yeast, or SCOBY. 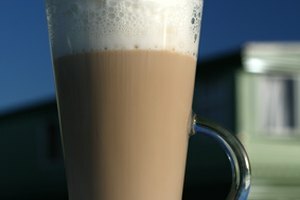 Similar to other starter cultures -- like the spoonful of yogurt that starts fermentation in milk for fresh yogurt -- a SCOBY provides the beneficial bacteria that drive fermentation and protect the coffee from the harmful bacteria naturally present in the environment. You can buy a SCOBY from kombucha-brewing suppliers or grow your own in about four weeks. If it's your first time working with live cultures, buy a fully formed SCOBY; they're produced with stringent sanitation oversight and meet U.S. Department of Agriculture guidelines for organic-food production. 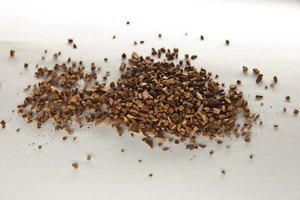 SCOBYs keep harmful airborne bacteria from affecting fermenting coffee but don't eliminate bacteria from unsanitized containers and utensils. You need a 3-quart or larger glass canning jar for each batch of fermented coffee. To sterilize the jar, place it in a large stockpot, add water to cover, and boil it for 10 minutes. Drain and let the jar air dry. Coffee made using the Japanese cold-brewing method works best for fermenting. Unsavory acidic flavors arise in cold-brewed coffees made at room temperature and in chilled regular coffee because of the time it takes them to cool; off-flavors increase with the amount of time it takes to go from boiling temperature to room temperature. Japanese-style cold brews chill almost instantly. Add 16 fluid ounces of crushed ice to the sanitized jar, and place it in the freezer. Next, brew 2 ounces of freshly ground coffee using 16 ounces of filtered water. Sugar feeds fermentation, and you need 1/2 cup of sugar for each 2-quart batch of kombucha coffee. You can use white, brown or raw sugar. Sprinkle the sugar over the ice and pour the freshly brewed coffee over it. Stir the coffee, and let it reach room temperature. Set a 4-ounce SCOBY on top of the coffee. Cover the mouth of the jar with a coffee filter, and secure the filter with a rubber band. Ferment the coffee in a cool, dark room for seven days and then taste it. If you want a stronger fermentation, leave the coffee another day or two. When you're satisfied with the taste, transfer the SCOBY to a sterilized airtight container and store it in the refrigerator for up to 30 days. You can drink the coffee as is or bottle it in plastic bottles -- leaving 1/2 inch of head space -- and let it carbonate for a few days, or until the bottles feel solid.